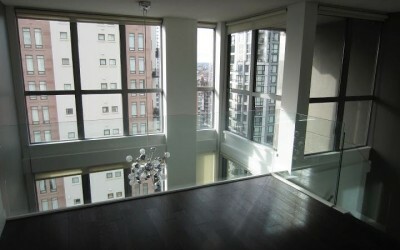 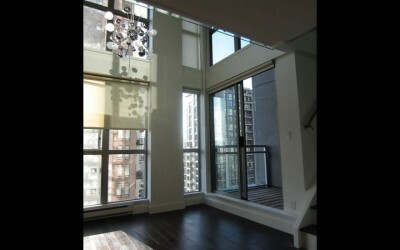 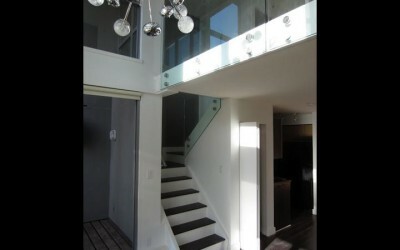 This loft in the heart of Vancouver’s trendy Yaletown felt closed in and constricted. Half-height walls on the balcony and running throughout the stairwell and entry also emphasized the verticality of the layout. 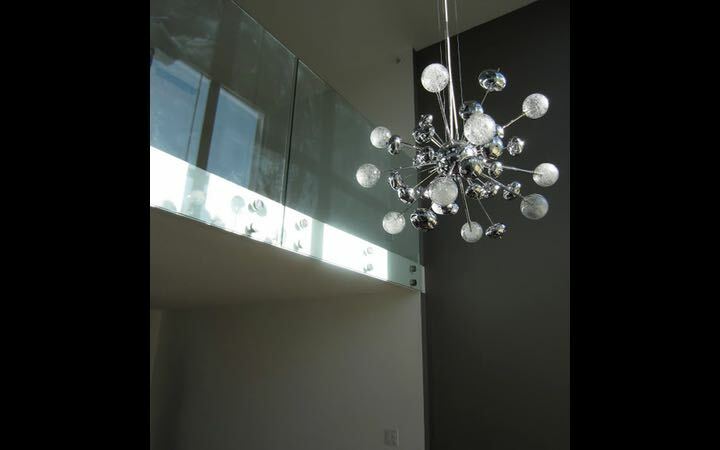 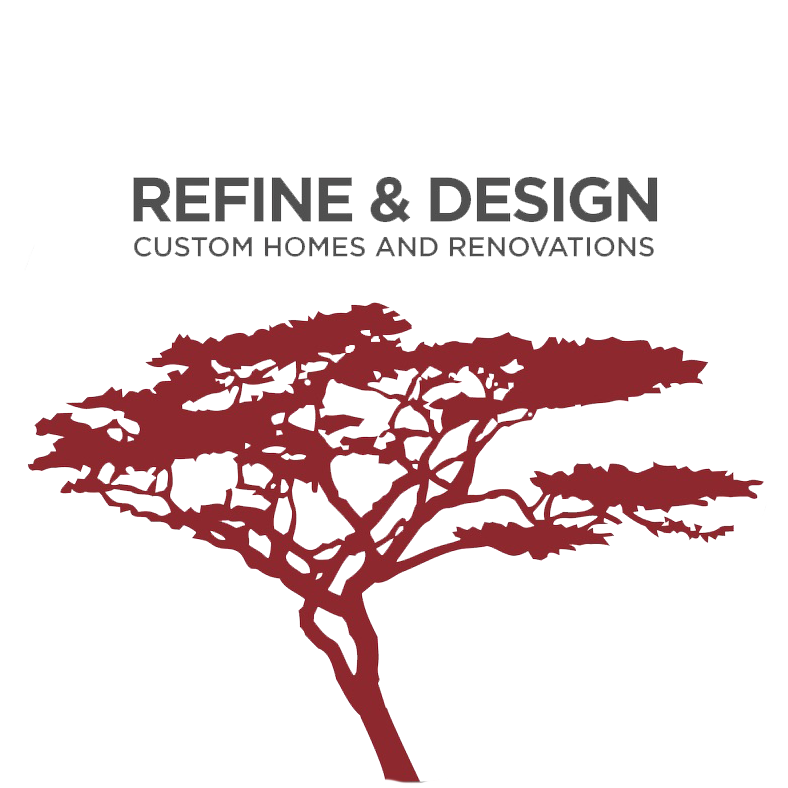 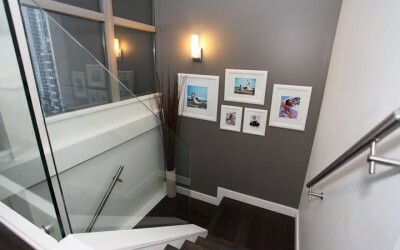 Refine & Design removed those low walls and replaced them with 12 mm, low-lead, frameless glass. This allowed the space to feel limitless and less confined. 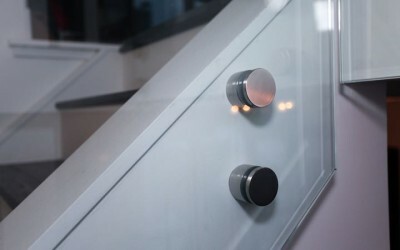 Modern details were added in the way of stainless steel railings and connection details for the glass panels. A cool grey accent wall in the stairwell created a perfect artwork wall and a great new chandelier added personality and interest.